Music Trivia Night with Tony George and band. Looking for something a little different for your event? A Music Trivia Night is a great way to break the ice with guests or add a little team building to your conference dinner. Tony hosts an amazingly fun and interactive music trivia night for his corporate clients. Think of this music trivia night as being a cross between the hit T.V shows “Spicks and Specks” and “Rockwiz” and you’ve got this crowd pleaser of an event. Mixing questions through rounds and including the live music segments of “name that tune” and “missing lyrics”, this trivia has something for everyone. 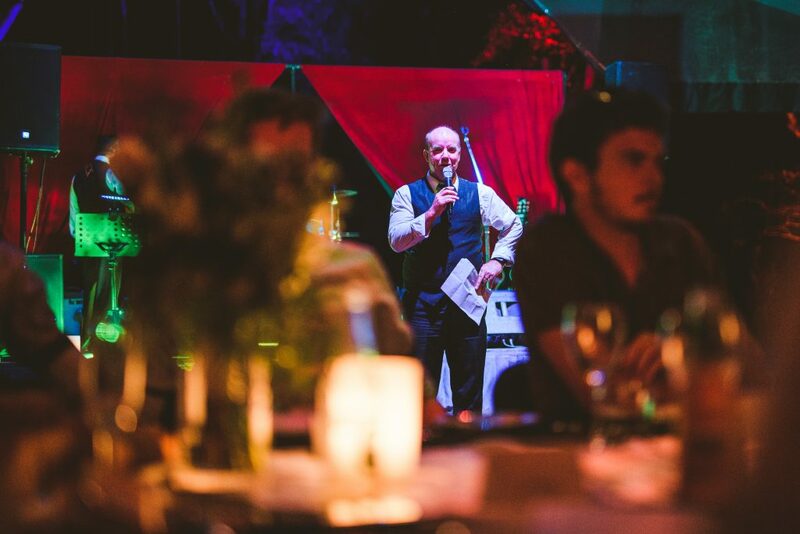 With a significant client history, this trivia night has been refined to suit a diverse crowd but can be tailored to suit a specific, or specialised theme. We can also assist with ideas to boost team competition, including group costumes (as pictured below) from various era’s and genre’s of music (80’s Team, Hard Rock Team, Country and Western Team etc.) and live ‘team performances’ for extra points on the night. This type of night has proved extremely successful for conference groups between 50 to 200 people but can be tailored to suit any group size. The live music component can of course continue after the trivia part of the evening has been concluded for a more comprehensive entertainment solution. Where a great, fun night is the aim of the event, please enquire about packaging our trivia night with other live music (post trivia night) options. “Tony George was fabulous. The Music Trivia night is a great product and they were a great band generally for a function. They had us humming from the very beginning. I couldn’t recommend him more highly. He has all the charisma required and busted a gut to make sure the night was a huge success. He also put together all the scoring sheets etc. and made everything so easy for us”. Janet Sloan – Redbag Events – Melbourne. Joanne Perry, Director, Vice-Chancellor and President’s Office, CQUniversity, Australia. 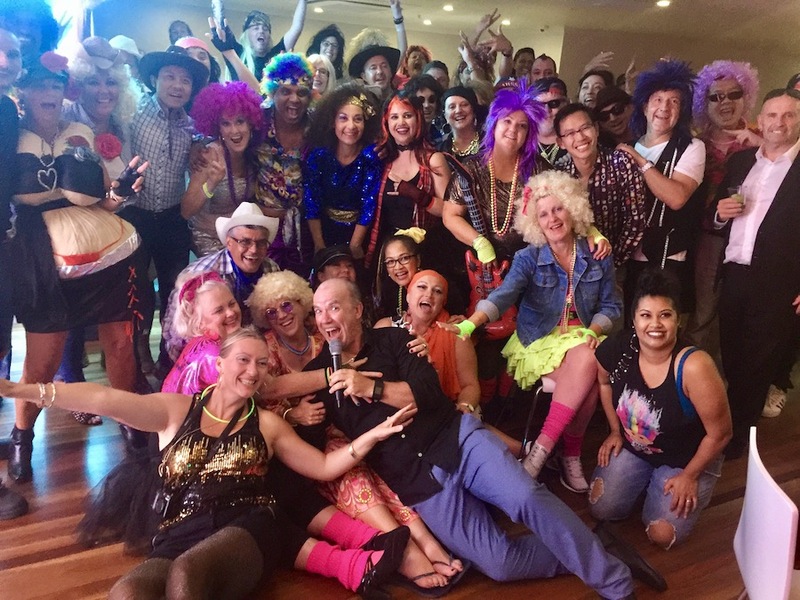 If you are after a professionally run Music Trivia Night for your conference group in Cairns, Port Douglas or Mission Beach, then look no further. Book now with Tony George Entertainment. The end of a successful music trivia night with Tony and his audience in team’s costumes.